This past weekend I watched the fashion documentary, Diana Vreeland, The Eye Has to Travel. 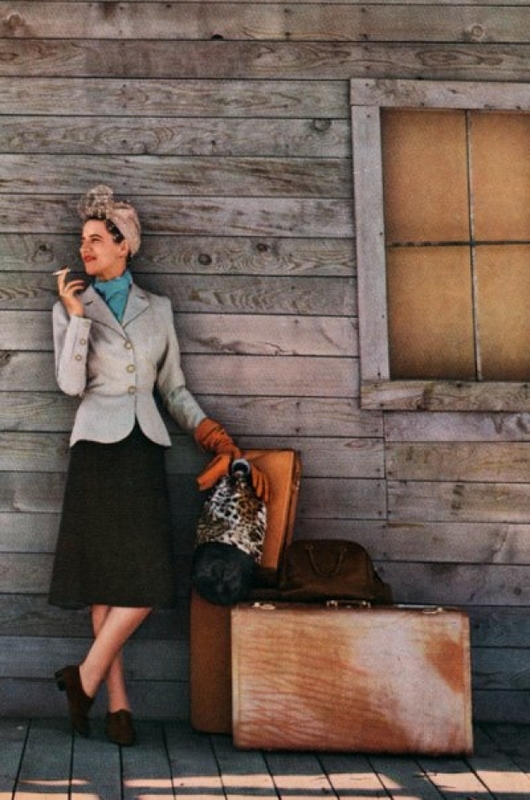 Vreeland was the first fashion editor at Harper's Bazaar, and went on to become the editor-in-chief of Vogue. The film explains her rise to become one of most influential curators of fashion. Her strong views on life, style and career making are at the heart of the film with anecdotes from people who loved, and worked with her. The film also harps upon her physical appearance quite a bit. They indicate that Diana was not the most beautiful of women. While this may be true, her strong personality and biting confidence could seduce anyone. When the film introduced her husband, the striking man who chose her, my friends and I all gasped, "What a babe!" In turn, her confidence and joie de vivre made her the most magnetic person in a room. "There's only one very good life and that's the life you know you want and you make it yourself." I agree 100% with this week's mantra! I quiet impress with that line. She has a unique personality and the working way, and that's the reason she is a chief editor of 'VOGUE'.